​Arsenal manager Unai Emery has revealed he 'didn't listen' to Troy Deeney as the Watford striker made a parting comment following his sending-off at Vicarage Road. In a hard-fought contest, Pierre-Emerick Aubameyang's bizarre goal and Deeney's sending-off less than a minute later, handed the Gunners a crucial three points in their bid to reach the Champions League next season. As the Hornets' captain left the pitch, the 30-year-old seemed to involve himself in a war of words with Emery on the touchline, but the Gunners boss insisted after the game that he paid no attention to it. When asked what was said between the pair, the Spaniard said (as quoted by the ​club's official website): "I don't know. Only that. It's not important. I didn't listen to him really. I didn't listen to him really and I only answered him to say I don't know. "I didn’t see the red card. I leave the decision for the referee. It’s clear it helped us, with the decisions, because we played with one more player from then on. It’s more difficult for them. "But our goal gave us the advantage in the first half and after the red card also. It helped us to take more control of the game, but we didn’t do all we wanted to do. But we can be happy with the result, because playing here is very difficult." 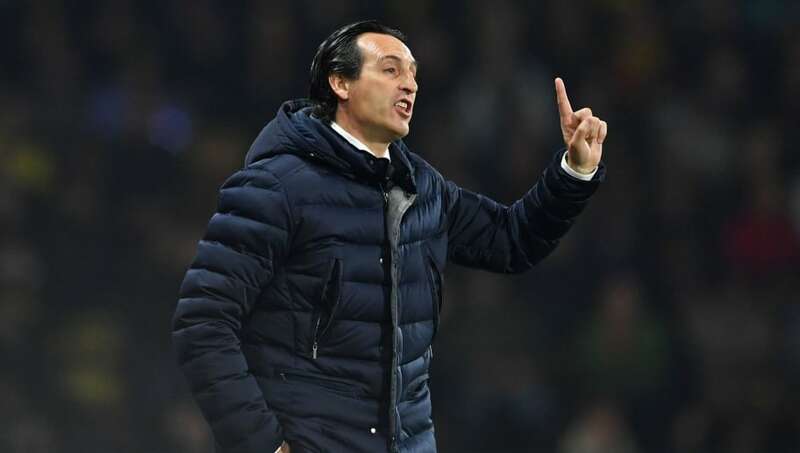 With the return leg of their Europa League quarter-final against ​Napoli coming up on Thursday, Emery also provided a fitness update on his stars, and addressed the half-time withdrawal of Lucas Torreira. The ​Arsenal boss added: "At the end the doctor said to me that they are okay. Only in the first half with his small injury, Lucas Torreira, but I think it's small and he can be ready for Thursday physically. "It was a very physical match today but I think we can respond well and above all the result gives us the opportunity to continue in our way, being consistent in the table."